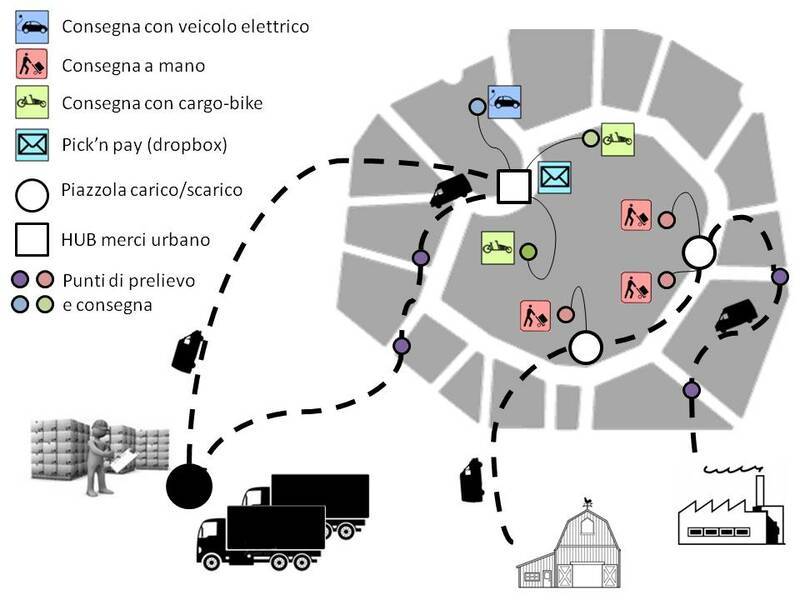 The Opti-LOG project aims at testing and promoting innovative measures for the management and control of urban logistics, in order to improve the efficiency and the economic and environmental sustainability. In this regard, Opti-LOG will study the characteristics of a last-mile delivery service with low emission and zero emission vehicles, providing operators and the public administrations an advanced software platform for the optimization of logistics. The expected impacts from the project relate to the decrease of the pressure of commercial fleets on traffic and to the improvement of air quality in urban areas. a social networking platform supporting the aggregation of the demand of shipments and interaction among users willing to send or receive a parcel. Upon completion of the described functionalities, Opti-LOG will study models and behavior-based policies for management and control, in order to encourage good behaviors and virtuous choices by operators. The rewarding mechanisms within the social business will aim to aggregate demand and facilitate the optimization (eg. groups of delivery). Finally, the project will focus on measuring the effectiveness, in terms of reducing environmental and social externalities, of the identified logistics solutions for the last-mile, with regards to Business As Usual (BAU) scenarios. In this regard, evanuation scenarios will be defined, based on the four pilot-cities and for each of them the effects of different policies and configurations of the logistics of last mile will be simulated. The simulations at a local and micro scale will use both mathematical models of diffusion and dispersion of pollutants and models to estimate emissions.